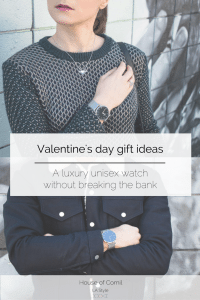 Welly Merck review: a luxurious unisex minimal Swiss watch that doesn’t break the bank. The perfect gift! 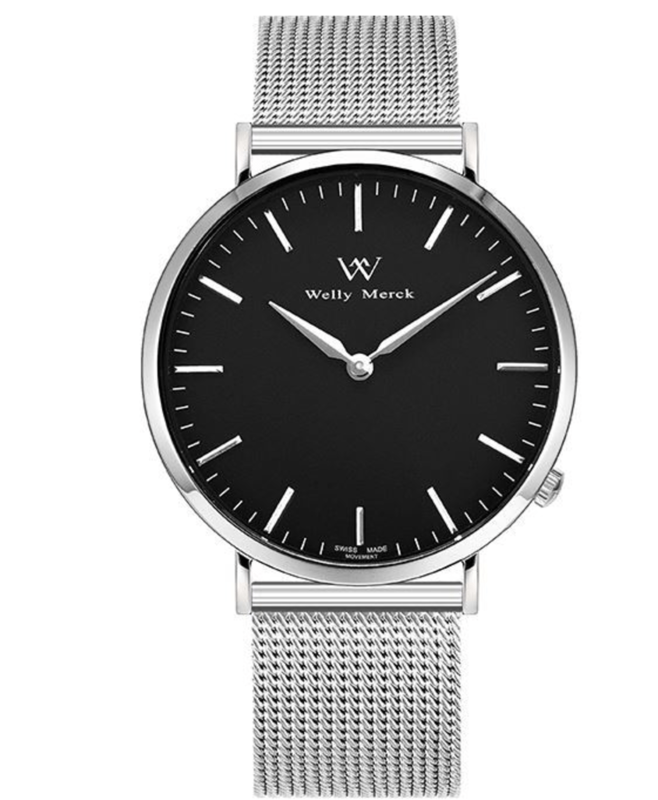 Welly Merck, a Swiss watch label is now available. 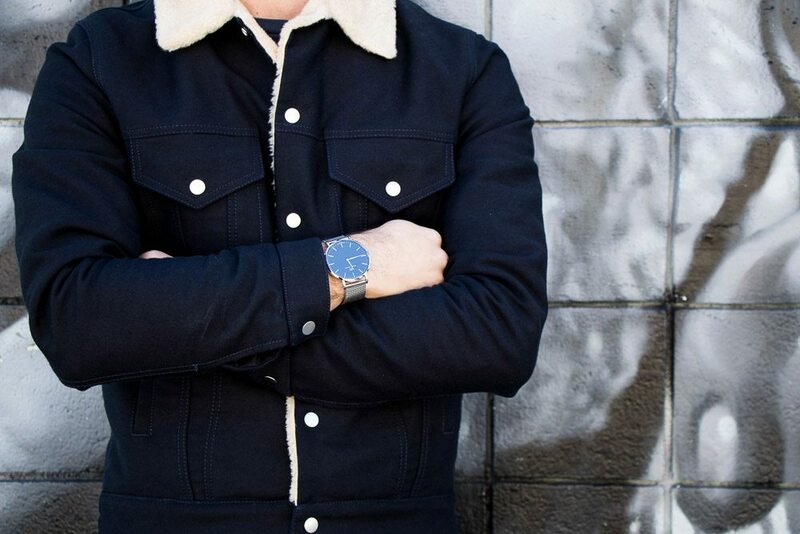 This brand has made everything possible to be a step closer to Swiss luxury watches. I have always been concerned by the fact that it was very difficult to find high-end watches with a sapphire glass crystal. I have eventually found one label: Welly Merck combining high quality, design and accessibility. Welly Merck is relying on a digital strategy and is using direct to consumer distribution and eliminates costly middle-men. 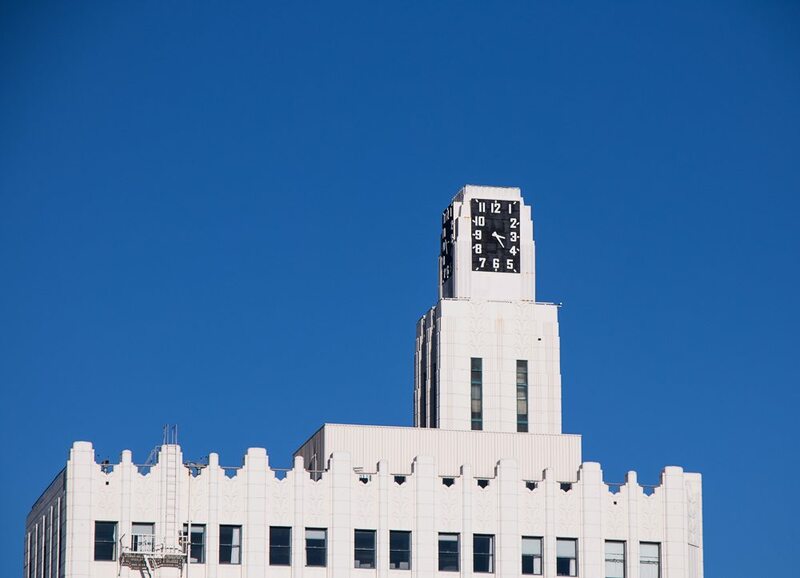 That allows them to offer their customers access to high-end Swiss timepiece at reduced costs. 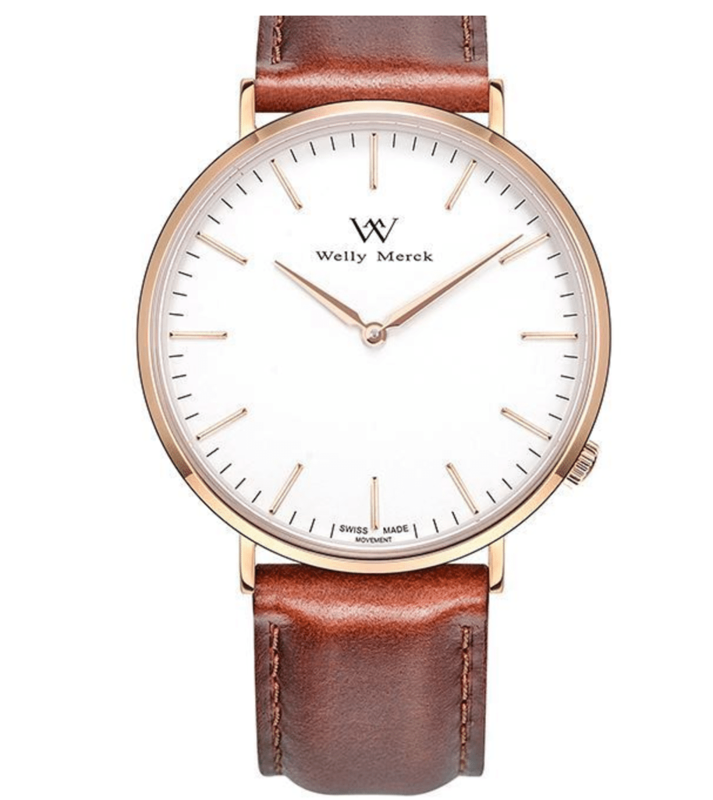 Those watches are superior in term of quality compared to Daniel Wellington and other similar brands due to the sapphire glass crystal and Swiss movement. They retail between $160 to $270. 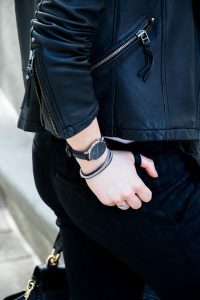 Models on those pictures are the Classic Basel SBW in 36 mm ($238) and Classic Basel SBW in 42 mm ($258), with a stainless steel strap or a Roma leather strap (additional $55). 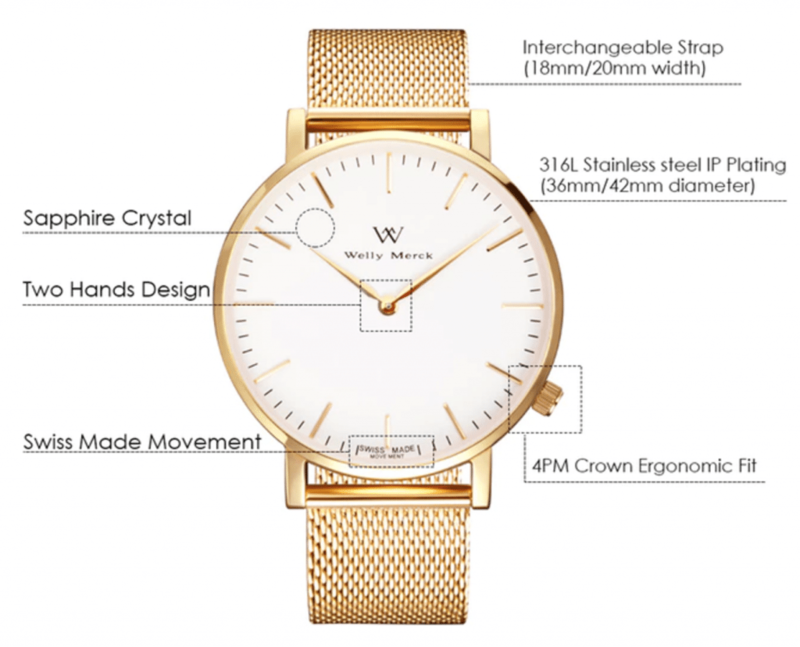 Like Daniel Wellington and Cluse, Welly Merck has a quartz movement. 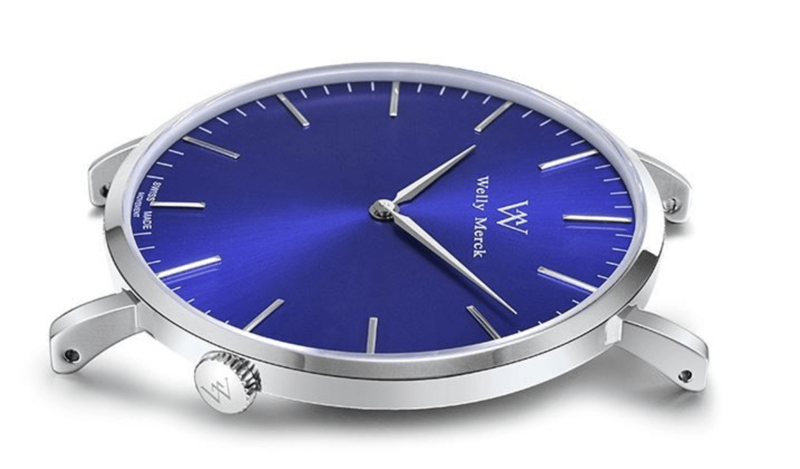 But unlike its competitors which are using a Japanese movement, Welly Merck is using a Swiss Ronda movement (the same movement as Shinola). Although those movements are very similar, Swiss Ronda movements are considered to be more precise and to last longer than Japanese movements (Sources: 1, 2). 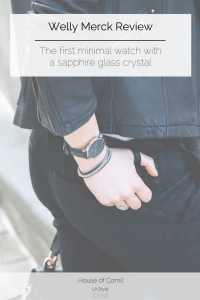 Hardly breakable and leaving no scratch, the sapphire crystal is a must if you want to have a watch which always looks brand new! Check out this video shot by Welly Merck to see the difference between minimal and sapphire glass. 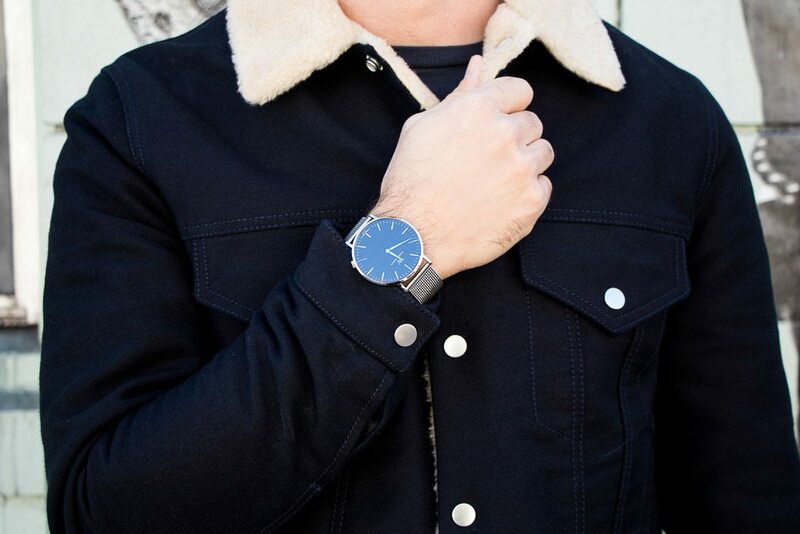 Welly Merck is combining the best of Cluse and Daniel Wellington in term of watch straps. 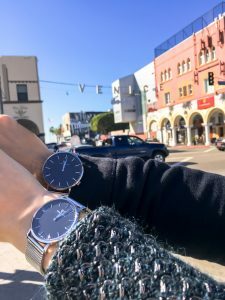 You can have stainless steel mesh straps (similar to Cluse ones), leather straps or nato straps (similar to Daniel Wellington ones). All are super gorgeous. 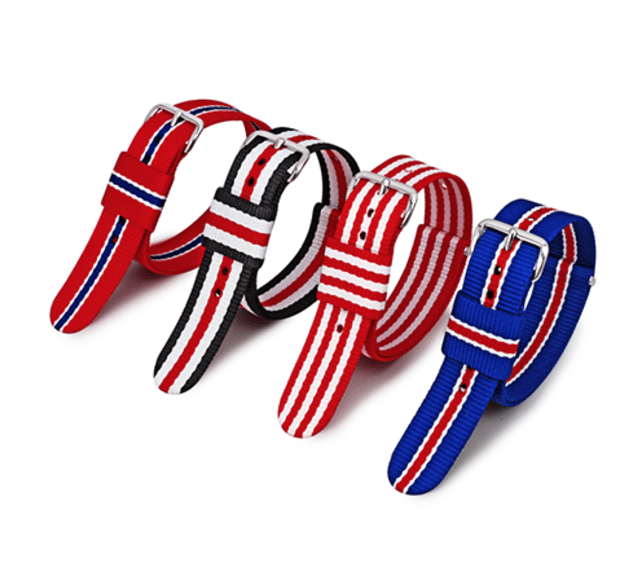 However, in term of nato straps, they could have more feminine options. The strap is easily interchangeable: no need of tools! 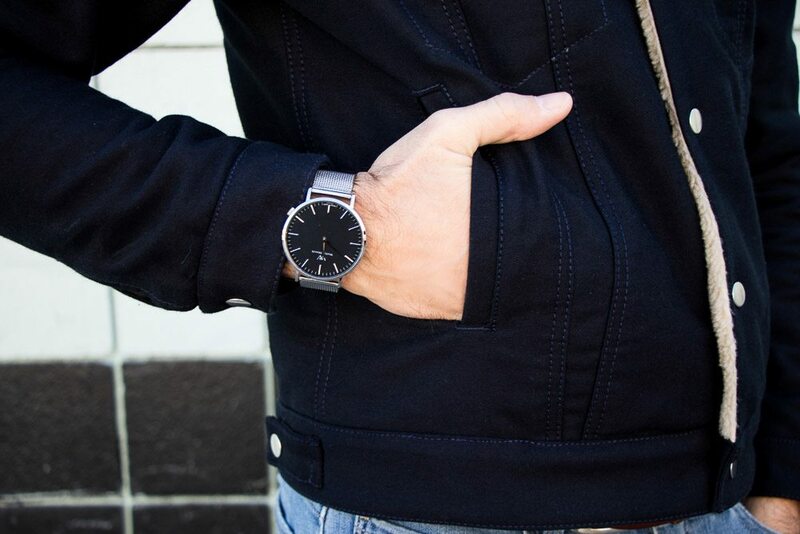 You can personalize your watch. I love the stainless steel strap, and the quality is very good for the price. 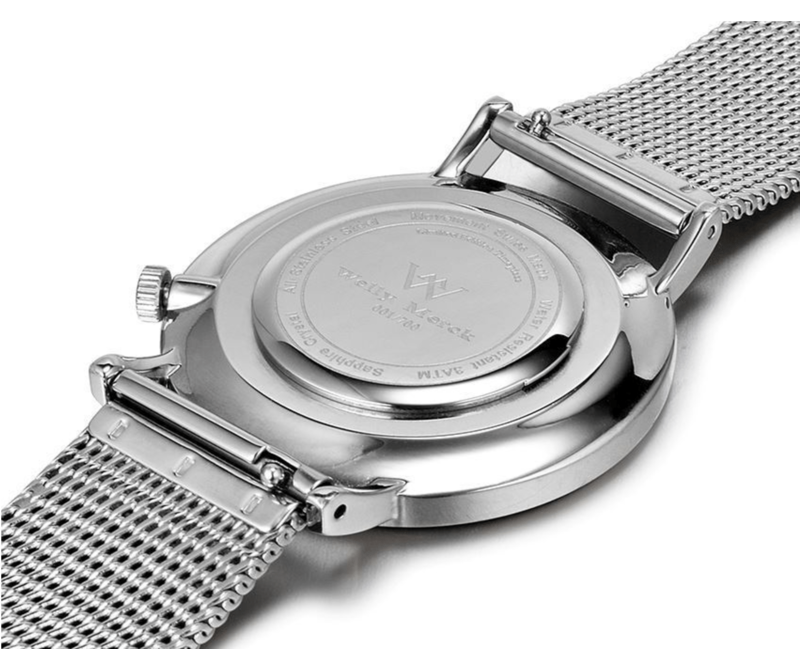 However compared to luxury watches (like IWC), the strap is more difficult to adjust and to close. But after several days of use, I was able to close it very easily. 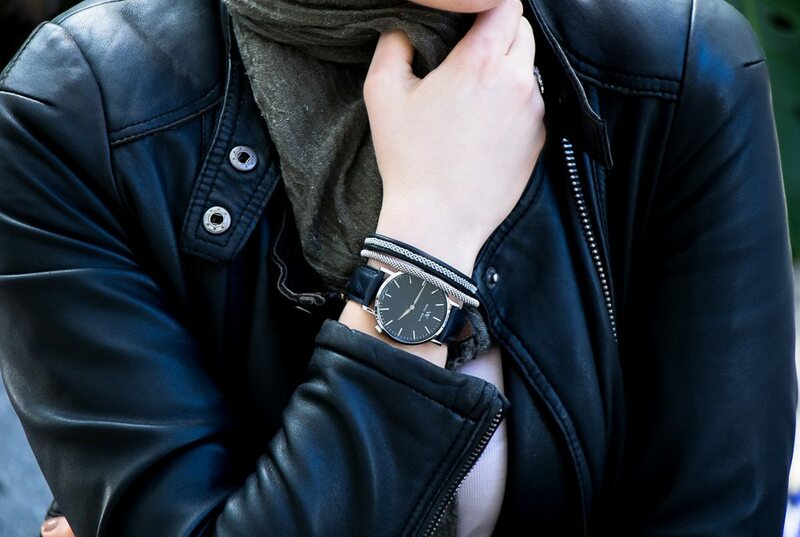 The leather brand is very good and similar to Daniel Wellington and Cluse. However, the quality of the leather brand does not equal the quality of a $400 leather brand (which I will not expect at that price). The sizing of Welly Merck is perfect. The case thickness: only 6 mm and the size: 36 mm are perfect for a woman wrist. 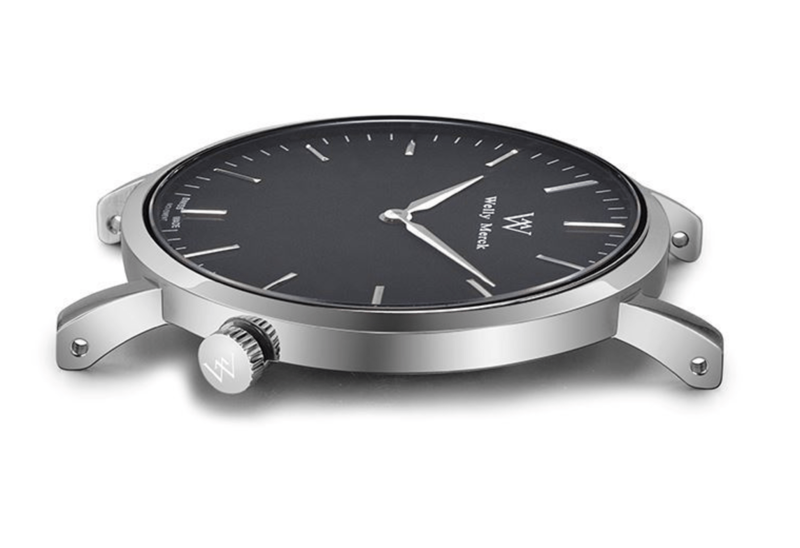 Generally, these type of minimal watches come in 38 mm which are a too big for me. This sizing is the same as Daniel Wellington watches. 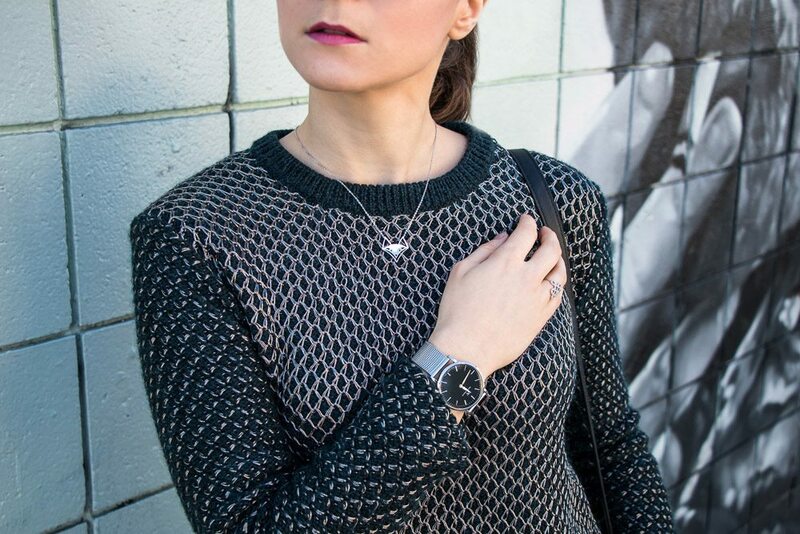 For the case: you can also select a white, black or blue frame and the material in stainless steal is available in gold, silver, pink gold and black colors! 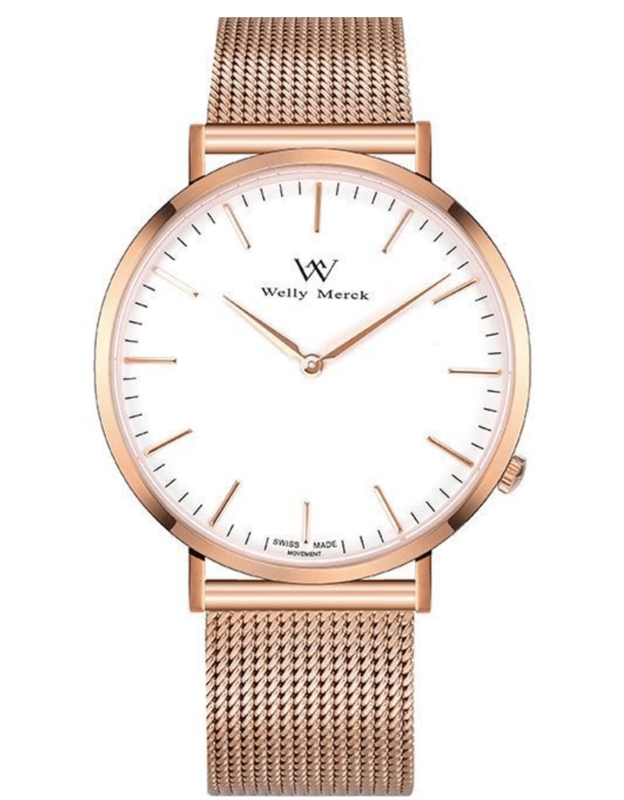 Regarding men dimensions, Welly Merck comes in a 42mm size, which is a little bit bigger than Daniel Wellington 40 mm. The brand is the union of an American boy: Merck and a Swiss girl Welly. 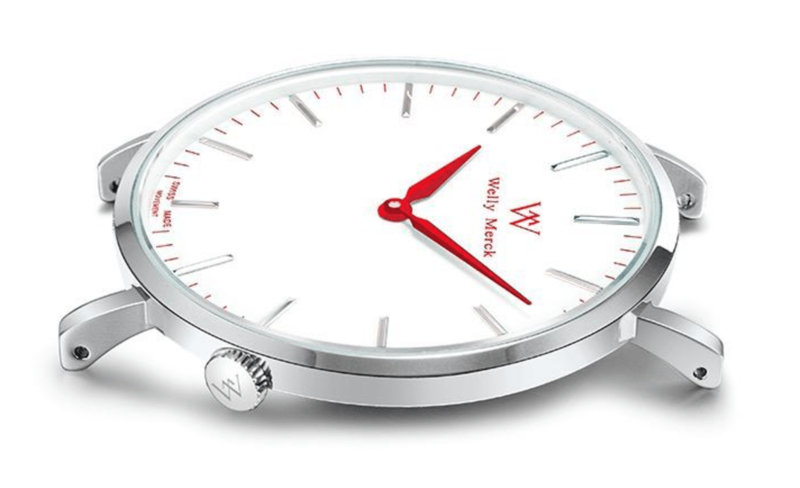 Welly is from a traditional Switzerland watch-making family. 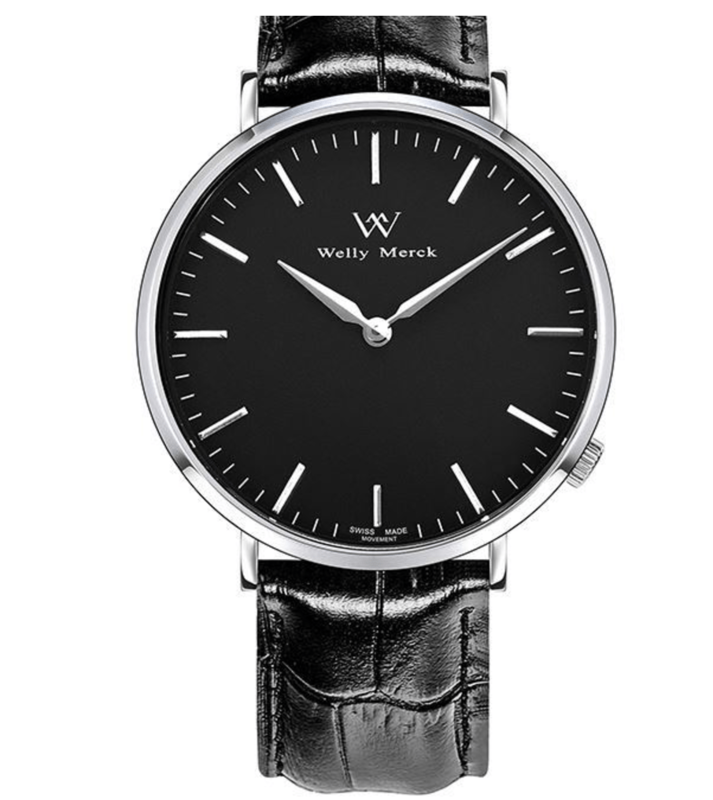 The couple decided to launch their own Swiss watch brand “Welly Merck”. Inspired by desire, conceived with passion, and born with quality. Welly Merck watches represent a modern union of quality and fashion that makes luxury watches affordable for almost everyone. Welly Merck is currently doing an Indiegogo campaign, check them out! A special treat for my readers, Welly Merck will offer 20% off on any style with the code WMxJC20. 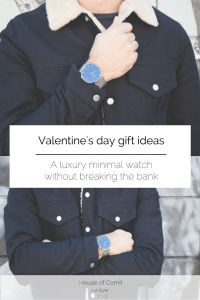 Enjoy your Swiss Watch! The two most important features are the sapphire glass and extensive choices of straps(stainless steel, leather and nato) and cases. 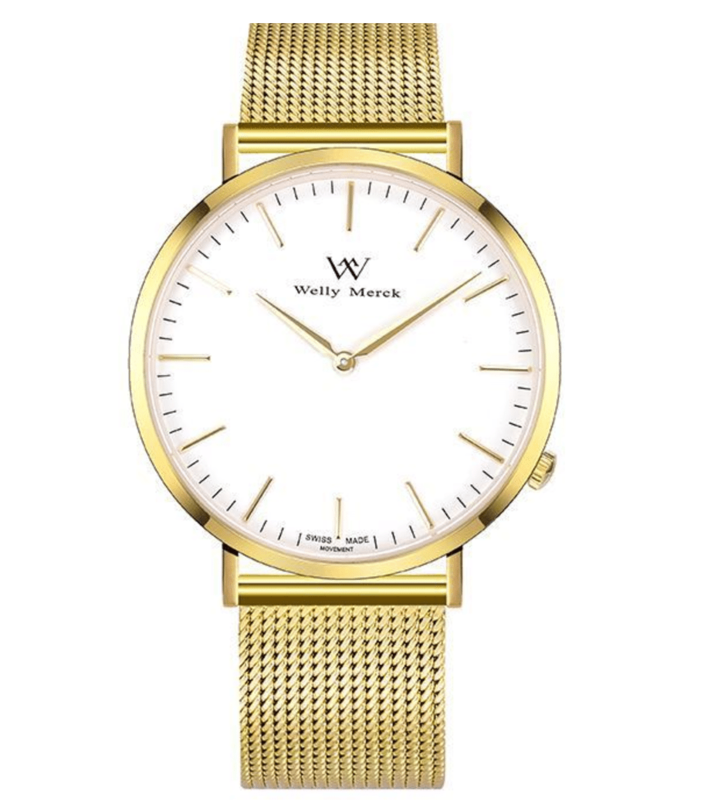 Although Welly Merck is currently less famous than Daniel Wellington and Cluse, its designs are super stylish, and the label is of higher quality. 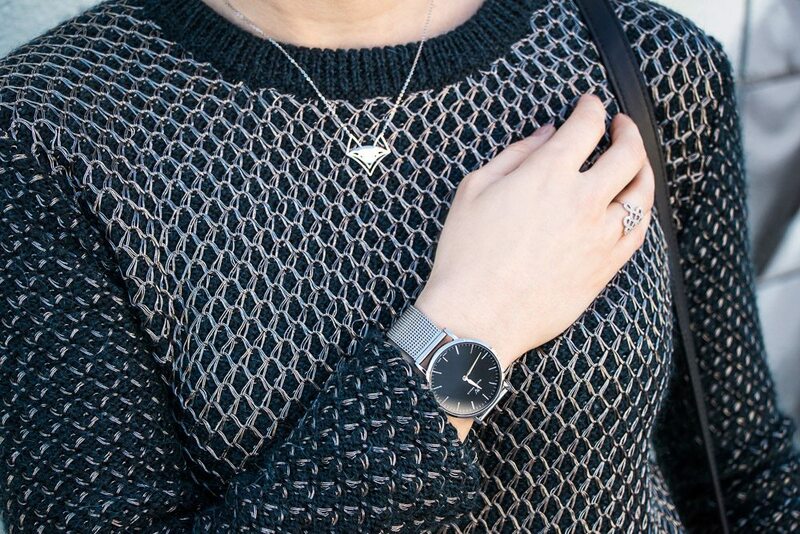 This brand is strongly recommended if you are looking for a minimal unisex watch. Disclaimer :This post was not sponsored by Welly Merck. However, I did receive the products in kind. 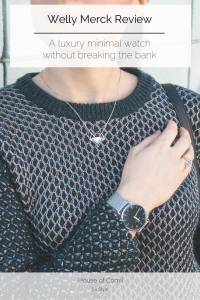 I truly believe this is a brand worth knowing and learning about, hence the blog post! As always, opinions are my own. Love the hardware on this watch! Makes it look very expensive! Thank you! Agreed looks like a luxurious watch!! Thanks me too! I love also the pink gold staps!! I have never seen this brand before, but I am in love! Looks great! I like this style! I can’t help to buy one! Thanks for your sharing. 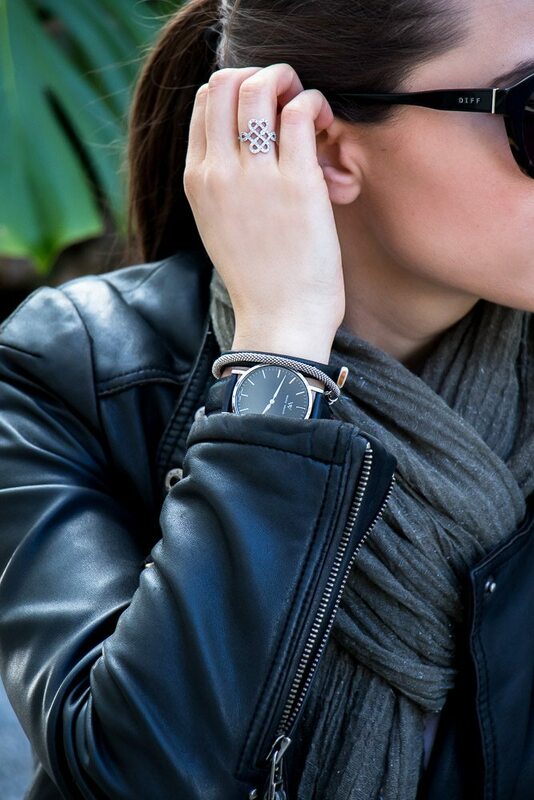 The style of watches are attractive. Thanks Johanna! 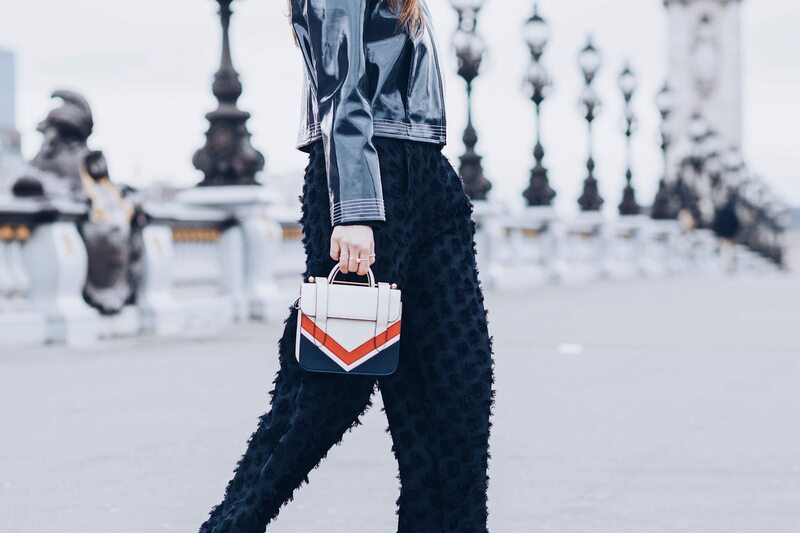 I am obsessed with this brand!